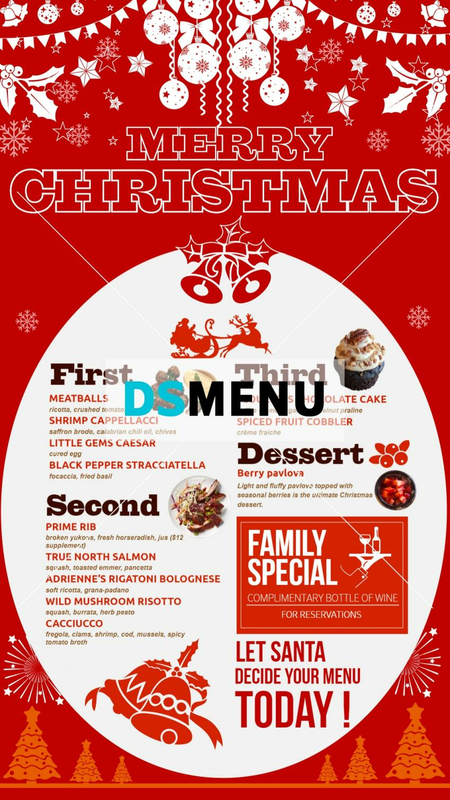 A vertical Christmas menu board with a unique color combines – white background with brick red patches. A very chic and bold menu board. The menu is equally enchanting with a succulent continental spread. On a digital screen the illumination will light up the vicinity and more customers will come in.